None of the versions of Windows operating system supports DMG format out of the box. As you likely know, DMG file is an OS X disk image file and are supported in Mac OS X operating system. One needs to take the help of third-party tools in order to open a DMG file on a PC running Windows operating system. Those of you have spent considerable amount of time on Mac would know that the DMG is mostly used to install apps on Mac. In other words, apps that we download to install on a Mac OS X use .DMG extension and can be mounted easily by double-clicking on the file on Mac. While there are a couple of handy options out there to open or extract a DMG file in Windows, we will share the best three tools to deal with DMG files in Windows environment. DMG Extractor is probably the first and only tool designed exclusively to deal with DMG files on Windows OS. 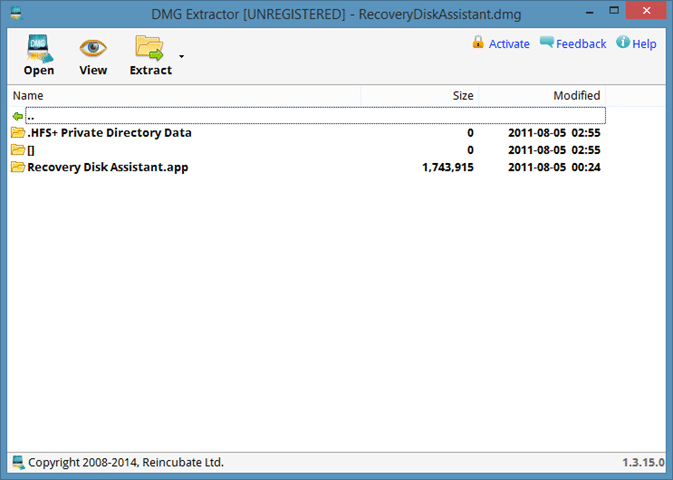 Since DMG Extractor is developed specially for DMG files, it can open encrypted .DMG files without having to first convert them to other formats. Raw, Bzip2, Zlib, and Zero block type DMG files are supported by DMG Extractor. The only catch with the free version of DMG Extractor is that it can’t open DMG file of size more than 4GB but that shouldn’t be problem for most users. Using DMG Extractor is fairly simple. After installing the software, right-click on the DMG file that you want to open and then click Open option to open the file with DMG Extractor. Alternatively, after launching DMG Extractor, click Open button and then select the DMG file to contents of the selected DMG file. To extract a DMG file, click the Extract button and then select a location to save the contents. Another free utility that you can install on your Windows machine to extract DMG files is HFS+ Explorer. 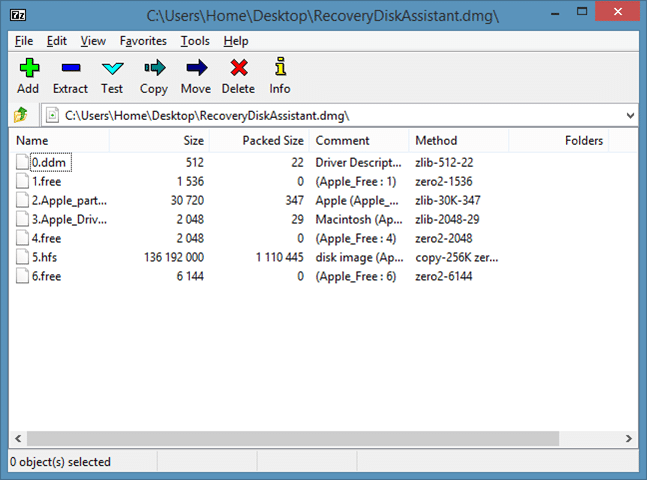 With HFSExplorer you can open Mac-formatted disks and disk images in Windows. While HFSExplorer is relatively easy-to-use, we must mention that it’s not as straight-forward as DMG Extractor. You need to install Java SE Runtime Environment 5.0 or above in order to run HFSExplorer and it doesn’t support all type of DMG format, including DMG UDF format. However, on the plus side, there is no size restriction per file. Step 1: Download and install Java SE Runtime Environment 5.0 or greater version. Step 2: Visit this page to download HFSExplorer and run the installer to get it installed. Step 3: Run HFSExplorer, click File menu, and click Load file system from path option to browse to the DMF file. If you have come across a better solution to open DMG files in Windows, dos share with us in comments. Most PC users are familiar with 7-Zip utility. If you haven’t used 7-Zip before this, it’s a free tool used to compress and uncompressed files. In addition to 7z, Zip, and RAR formats, 7-Zip also supports DMG format. However, it’s important to note that 7-Zip supports only unpacking of DMG files.